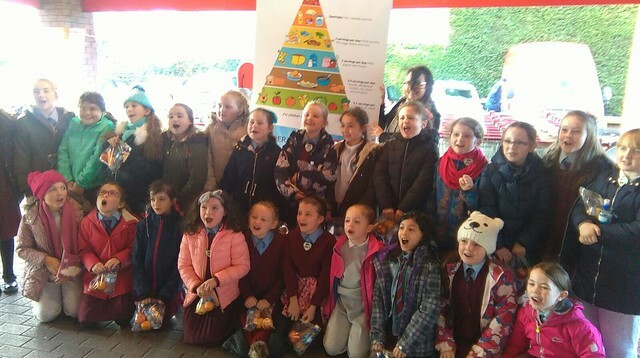 The girls in Ms.McKenna's 3rd class visited our local Super Valu in Killester this morning. They learned about the importance of nutrition, eating a balanced diet and living a healthy lifestyle. The girls were guided through the bakery and the fresh food produce and lots more. They got to sample some healthy foods too and were also very grateful to have received a goody bag full of healthy pieces!